Collecting geologic evidence from major pre-historic earthquakes provides clues to Earth's ancient seismic events. 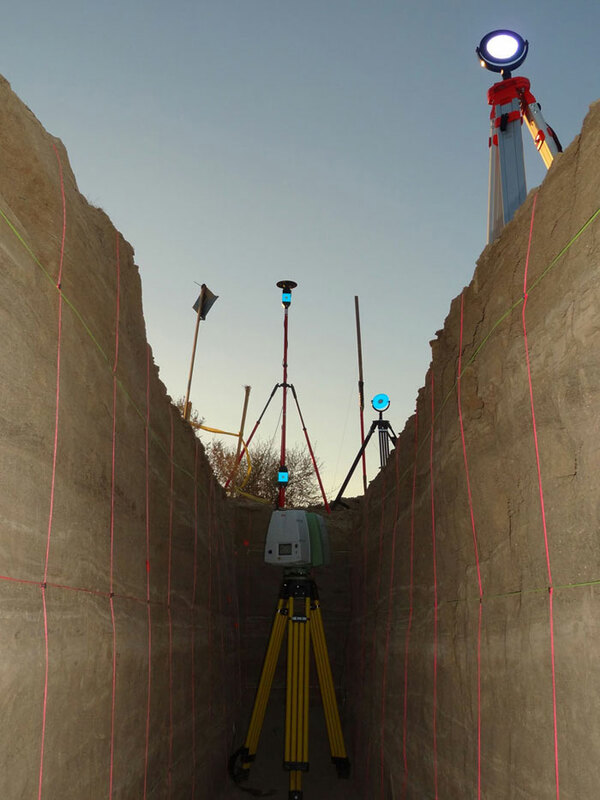 One method of data collection is to dissect a portion of ground across a known active fault, and catalogue, measure, and date the sediment left after each earthquake. 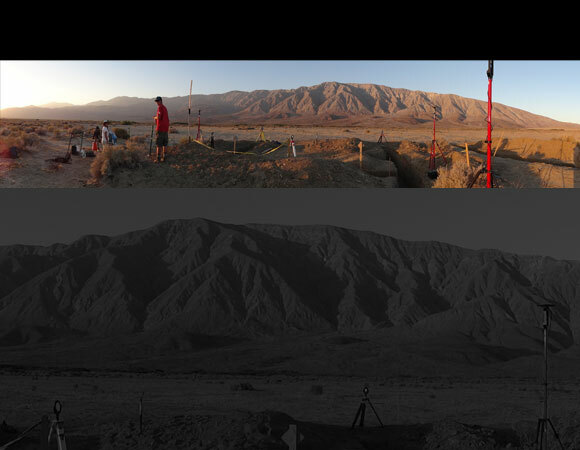 Dr. Rockwell and his team are searching for the paleoseismic history of the southern San Jacinto Fault, namely the Clark strand. Several trenches have been excavated and may potentially establish the slip rate per event for the past 2-3 earthquakes as well as the earthquake record for the past 1,200 years. 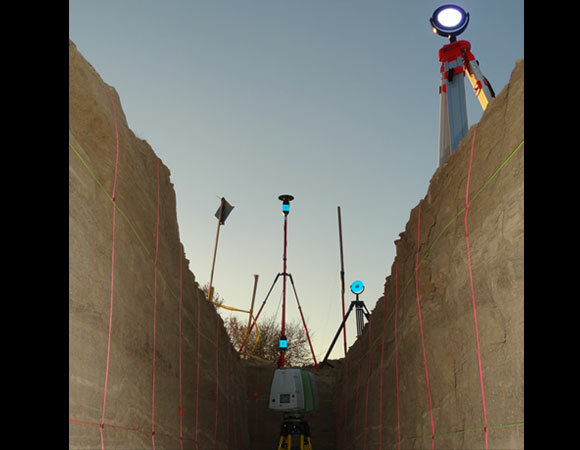 Terrestrial Laser Scanner (TLS) equipment was used to scan the fault trench faces and produce a highly detailed image of trench surfaces. Geologists are able to better understand the earthquake cycle associated with individual fault strands by determining how often and how strong previous earthquakes were on the fault. An earthquake cycle occurs over many hundreds and thousands of years, but it was only within the last century that modern seismic instruments were developed. So geologist must use preserved evidence in the geologic record to understand the earthquake history of a fault before the advent of modern seismic recordings. The longer we can "look back" into the seismic record of a fault, the more we know about when and how much energy is released on a fault. These types of studies allow us to better predict the seismic hazards associated with a given fault and ultimately provide us with crucial information on the probability of when another earthquake may happen. Figure 1. 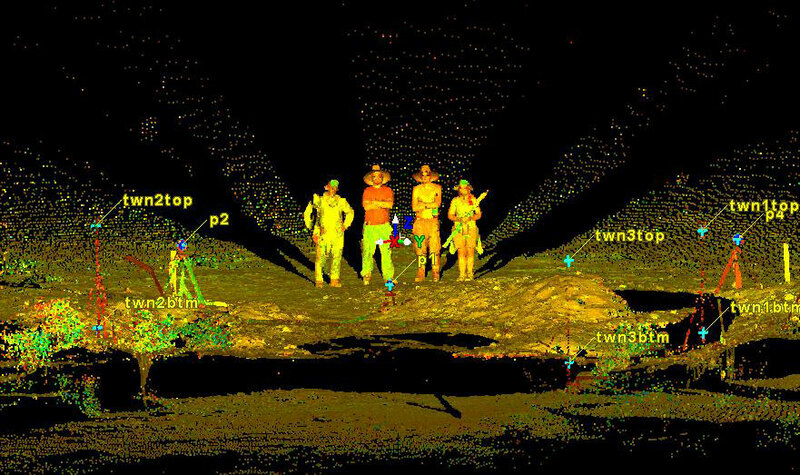 Lidar point-cloud image (down-sampled) of the trench site along the San Jacinto Fault near Clark Lake. Photo by Brendan Hodge. Figure 2. 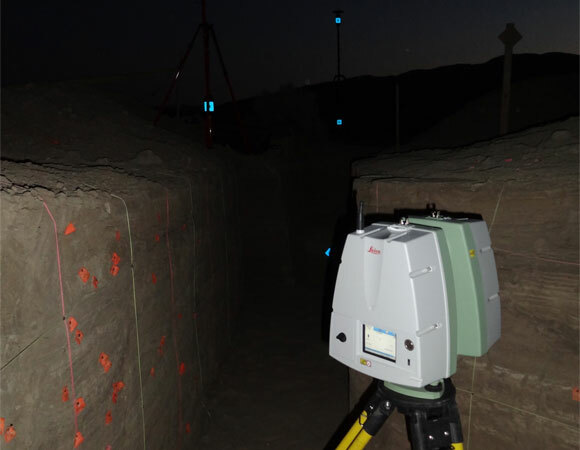 A terrestrial laser scanner operating at night. 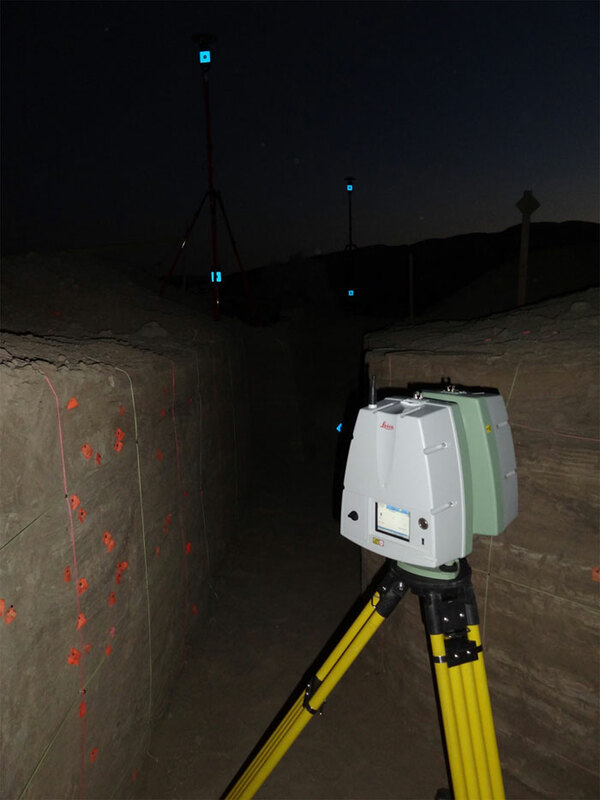 Due to ferenhait 110+ degree heat at the site during the day, night scaning was an appealing option. Photo by Brendan Hodge. Figure 3. 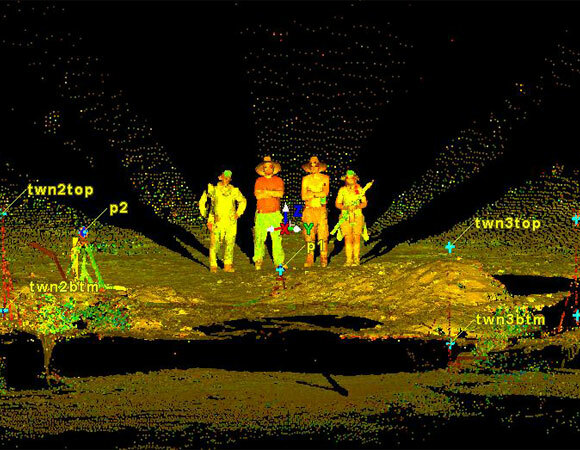 Lidar scan with field survey participants from left to right: Brendan Hodge (Unavco), Mike Buga (SDSU), Tristan Hawks, Nissa Morton (SDSU). Photo by Brendan Hodge. Figure 4. 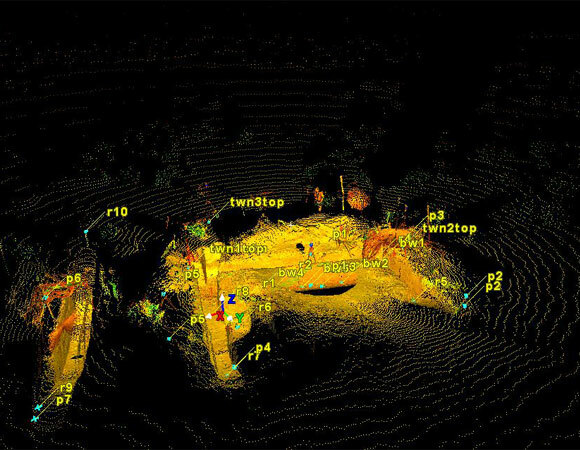 The scanner used is designed to collect data on surfaces at close proximity such as in a trench. 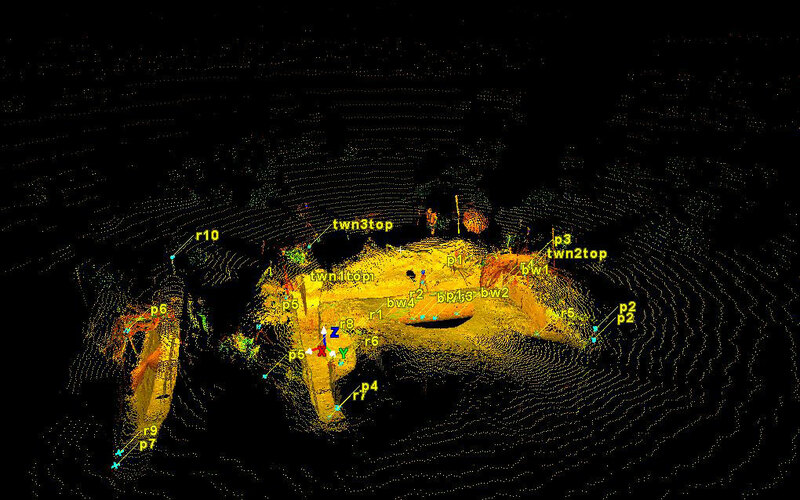 The reflectors seen in blue are targets used to register scan from different positions together. Photo by Brendan Hodge. Figure 4. The study site at sunset on the day of the 2011 summer solstice. The Santa Rosa Mountains can be seen in the background. Photo by Brendan Hodge. changes at the surface of the Earth due earthquakes, landslides, erosion, etc. To request TLS support for your project, please Request Support.